In spite of being asked to prove his identity, the ‘Bangalore Correspondent’ failed to do so. We are cognizant with the fact that if someone does not belong to a proper and authorized guru-parampara, what he is popularly known as. Let me not get into these details. However this ‘Bangalore Correspondent’ is a very nice trained attack dog of guru-fraudsters. I would first like to point out that you people are actually doing too much of claptrap about your gurus, about whom the whole world knows. We all didn’t know that inside the glass house you are all living in a state of dream thinking that this temple is Madhu Pandit Dasa. I think you are not aware of the fact that thousands of disciples of Prabhupada are standing with Madhu Pandit Dasa. He is not alone. This temple is the property of Srila Prabhupada, which you people now want to loot. It is not 1977, 1981 or 1998, this is 2011. Don’t be under an illusion that you are right. Actually you are all blinded by a guru hoax philosophy. Let me unveil few facts which readers would be interested to know. JPS and his disciples are stamped to be political. History has recorded this. Let me give an example of what they have done to the disciples of Srila Prabhupada. In Mumbai, once TKG grabbed the mike, brayed into it ‘His Holiness Bhavananda Maharaja ki jai’ and being joyous His Holiness Bhavananda Maharaja took back the mike and yelled into it ‘His Holiness TKG ki jai’. These kinds of braying are prohibited in the main temple hall. And it can surely provoke a sign of pity into the mind of anyone by witnessing such behaviour. After this incident, Yashomatinandan Prabhu visited Mayapur during the GBC meetings where he openly mocked the guru fraudsters saying that they were bogus. This angered them as they usually do. This quality of being angry itself shows that they are not qualified to be the gurus. The spiritual master is totally free from all these 5 qualities – Egoism, envy, ignorance, misery and anger. Those so called spiritual masters then released their dogs with sticks in their hands behind Yashomatinandan Prabhu chasing him all over the campus. He is a Temple President, the ultimate managing authority in the temple. And he was chased all across the temple by these attack dogs. He then approached His Holiness Hrishikesha Swami requesting him to look what they were doing to him. His Holiness Hrishikesha Swami looked at him and in a convicted state of lost mind, said – “Don’t you think you deserve it?” Hearing these sharp words Yashomatinandan Prabhu was taken aback. He was then grabbed by those attack dogs, who caught him by his neck and dragged him to the quarters of JPS forcing him to massage JPS’s feet and asking for pardon to be left safely. This is how they treated such a respectable personality. Such shame on them! Below verse outlines all their qualities perfectly making them the imperfect man to become guru. Why should Madhu Pandit Dasa walk out of the temple? He is an authorized Temple President chanting his 16 rounds every day, following all 4 regulative principles strictly, sincerely rendering his services as per the instructions of Srila Prabhupada and guiding the devotees as per the instructions of Srila Prabhupada. Why should he walk out from the temple? YOU SHOULD GET OUT FROM THIS MOVEMENT what to speak of getting out from the temple? It is gurus who have poached the properties of Srila Prabhupada. Many disciples of Prabhupada have left the movement from 1982-1998 but it was only Madhu Pandit Dasa who stood against the entire false army of these people. Like you, we are not interested in the positions or the temples. We are more bothered about the preaching. With the control of unelected GBC, this model of preaching will fail as it has already. These gurus have been fighting for the properties. If JPS is such a powerful acharya, why doesn’t he open institutions? Why personally harassing the disciples of Prabhupada and ripping them of their services? All of you are bound by this offense to Srila Prabhupada. JPS could not even develop Mayapur project, what to speak of maintaining this Bangalore temple. I know it is falling on the deaf ears nonetheless we want readers to know the actual history! Silence means you are accepting the money and exploiting the temples. As rightly questioned by Aishwarya Kumar, can anyone of your gurus declare their assets and bank accounts in court? JPS was a GBC for Trivandrum, Chennai, Hyderabad – instead of growth, these temples are coming down in their activities. That Vedanta Chaitanya in Hyderabad, being again one of their kinds tried stopping our preaching. Instead of stopping other’s preaching, he should first try to arrange for the offering of Deities in his own temple who were so lovingly installed by Srila Prabhupada. You are all interested in the disciples and transferring guru-dakshina into your personal accounts. 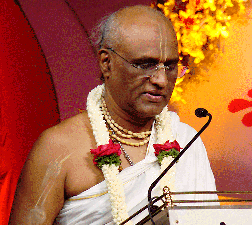 However there was only such drastic progress in Bangalore temple that due to the endeavors of Madhu Pandit Dasa. Don’t think he is alone. Thousands of them are there to fight you people and see to it that Prabhupada’s legacy is protected. For us all Prabhupada is still living and the words he has spoken are our lives.